Moana: Is Disney Starting to Grow Culturally Sensitive? Having grown up in a progressive household, I’ve heard all about the historical inaccuracies of the culturally insensitive Disney industry. Films like Aladdin and Pocahontas were debatably the worst of the lot, but Mulan and The Princess and the Frog weren’t exactly a step up, either. In their own heavy-handed way, Disney clearly tried to represent non-white characters and situations, but it really wasn’t their strong suit. Color me surprised then, as I emerged from seeing Moana for the first time. While it was still a glamorized (as in, Hollywood version) of a Polynesian, pre-invaded culture, it was guided by much more knowing hands. 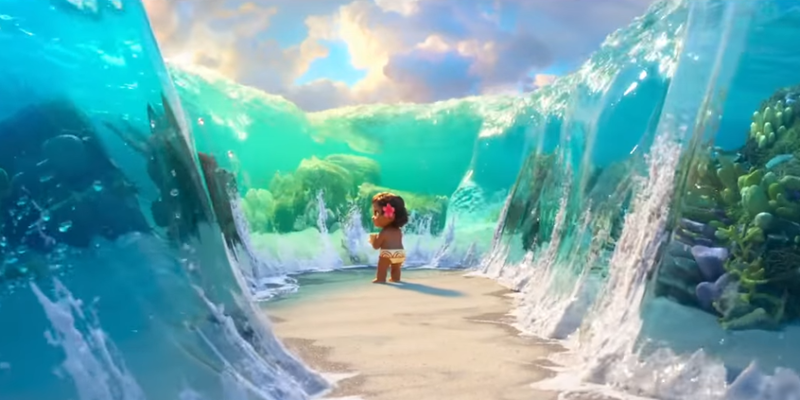 Self-aware of its Disney film status, Moana still boasts what audiences expect: awesome visuals, a likable princess, and lots and lots of catchy songs. Luckily, none of the songs resembled the earworm that is “Let it Go,” thank goodness. There was more to this story, though. It connected some spectacular Polynesian mythological characters throughout the film, presenting them to modern American audiences with unapologetic good humor. Moana accepts her wandering nature, as well as becoming chief of her people. There’s a balance between heart and mind that is rarely accomplished in cinema, much less in a children’s film. There’s also the question of accepting the past while embracing the future. It was beautiful. By far my favorite character was one which never spoke. I adore the ocean, yet I’ve never witnessed the ocean promoted as such an overwhelming presence before. Not only does it surround our characters every step of the way, carrying them forth, but it’s a real participant with a strong personality all its own. Pretty cool. So, if you want to take your kids to a well-made and thought-provoking film, look no further. This one will not disappoint. ← Fantastic Beasts: Fantastic or Not?